All proposals and recommendations to our Internet presentation, which may help us to improve this service, are welcome. Your suggestions and comments, as well as feedback about any problems you may encounter when using this website, can be sent to the webmaster. The Municipal District of Prague 8 has a diverse area and nature. The southern quarters – Karlín and Libeň – are in direct contact with the city centre; the quarters of Dolní Chabry and Březiněves are on the northern borders of the city. The district’s character is also affected by the fact that it was established incrementally as part of Prague. The Municipal District of Prague 8 includes nine cadastral areas: four are included completely (Bohnice, Kobylisy, Čimice, and Karlín), and five only partly (Libeň, Troja, Střížkov, Nové Město, and Žižkov). The oldest part of the town is the cadastral area of Libeň. It was attached to Prague on September 12, 1901. The oldest Prague suburb, Karlín, became part of Greater Prague, together with the quarters of Bohnice, Troja, and Kobylisy, in 1922. Since 1960, Čimice has been part of the district; Ďáblice and Dolní Chabry joined in 1968, and finally, Březiněves joined the district in 1974. The borders of Prague 8 were set in 1960; in 1990, the district became the Municipal District of Prague 8. 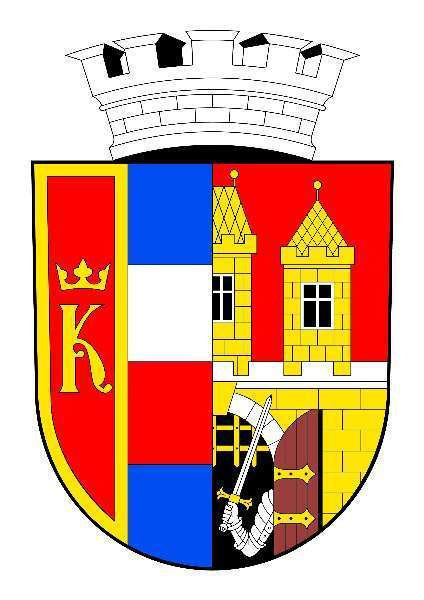 The coat of arms is based on the original coat of arms of Libeň, which was in use through the advancement of the town to the status of city, and on to its attachment to the capital city of Prague. The coat of arms of the town is a party per pale shield. In the right (heraldic left) red field, there is a bulwark with an open gate, out of which an armoured arm is coming, holding a sword. The left (heraldic right) field is vertically divided. In the left red and gold framed part, there is a crowned initial “K” referring to the Empress Caroline Augusta, the wife of the Austrian Emperor Francis I, under whose reign Karlín – the first Prague suburb – was established in 1817. The remaining part of the coat of arms is divided horizontally into four bands: blue, white, red, and blue. Red and white are the colours of the Czech national emblem; the two blue stripes represent the Vltava and Rokytka rivers, which flow through the Municipal District. A mural crown is placed on the shield to distinguish the town coat of arms from the coats of arms of noble families.